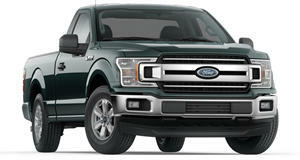 Ford will have the upper hand when it rolls out its hybrid F-150. When the brand-new arrives on dealer lots with a standard mild-hybrid system later this year, don't expect it to be the mobile work site powerhouse you crave. The 48-volt eTorque hybrid system uses a small lithium-ion battery pack to power its electric motor, which then sends an extra bit of grunt to the engine. However, the hybrid's electrical system isn't tied into the truck's 115-volt outlets, meaning all their electricity will come from the truck's 12-volt battery when the engine is turned off. This may seem like a minor detail, but it's an important one when Ram's main competitor, Ford, is planning to bring out a hybrid pickup of its own. For pickup buyers, fuel economy isn't a major concern, and it ranks No. 28 on their list of purchase priorities, according to . To combat that, Ford will market its forthcoming hybrid F-150 as a mobile charger of sort, able to provide juice to power tools and electric coolers that keep beer cold at the campsite—all while the engine is turned off. It's a competitive loss for Ram, which has a lot riding on hybrid technology to sell its next generation of pickups. 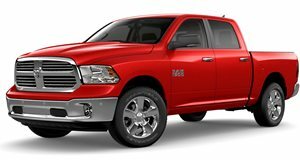 When Ram debuted its new 1500 pickup at the 2018 North American International Auto Show in Detroit, it touted the hybrid system's fuel-saving capabilities along with its torque assistance, which can generate up to 130 lb-ft of additional twist on demand in V8 models and boost hauling and towing capability. While there is a 48-to-12-volt converter built into the system, eTorque's operation is limited to when the Ram 1500's engine is turned on. With that, owners could run the 1500's 12-volt battery flat if they forget about that cooler plugged into the RamBox's 115-volt outlet. Still, with all that extra torque on tap, you may not want to turn the truck off anyway.